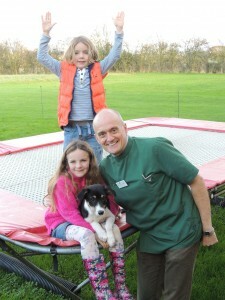 This is Betsy, who was seen at our Southam surgery this month with a painful foot. She had a swelling between her toes which hadn’t improved after a course of antibiotics and anti-inflammatories. Vet Mark was concerned that there might be something stuck in the wound stopping it from healing. 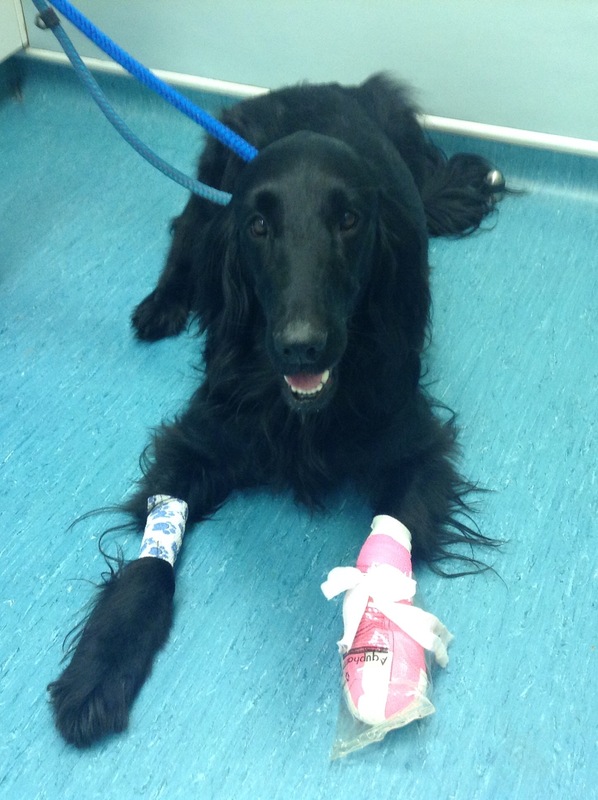 Betsy was given an anaesthetic so that Mark could have a really good look in her paw. 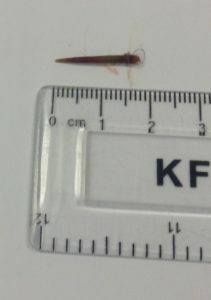 The reason for Betsy’s poorly foot soon became clear- a thorn nearly 2cm long! Betsy had a bandage on her foot for a few days to keep it covered. The bandage is now off and she is a lot more comfortable and happy with the thorn gone! 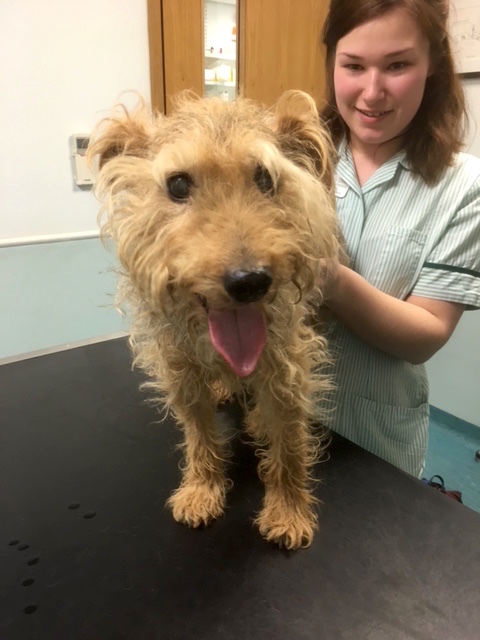 T his is 15 year old Buddy who came in to see vet Mark at Southam for his check up after an unfortunate encounter with a fish hook and line at the weekend. On Sunday morning, Buddy sneaked into the garage and helped himself to some fishing bait. Unfortunately, the tasty morsel happened to be attached to a hook and several feet of fishing line. 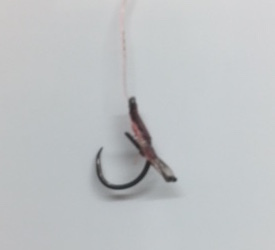 The hook becamelodged in his oesophagus, between his throat and heart. With Buddy safely asleep and an hour or so of delicate manipulation using a flexible scope and graspers, Mark managed to remove the hook. 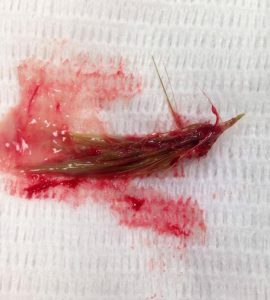 All is now well, but some terriers never learn… vet Russell removed a hook from Buddy’s stomach using the scope in the same month 8 years ago!! 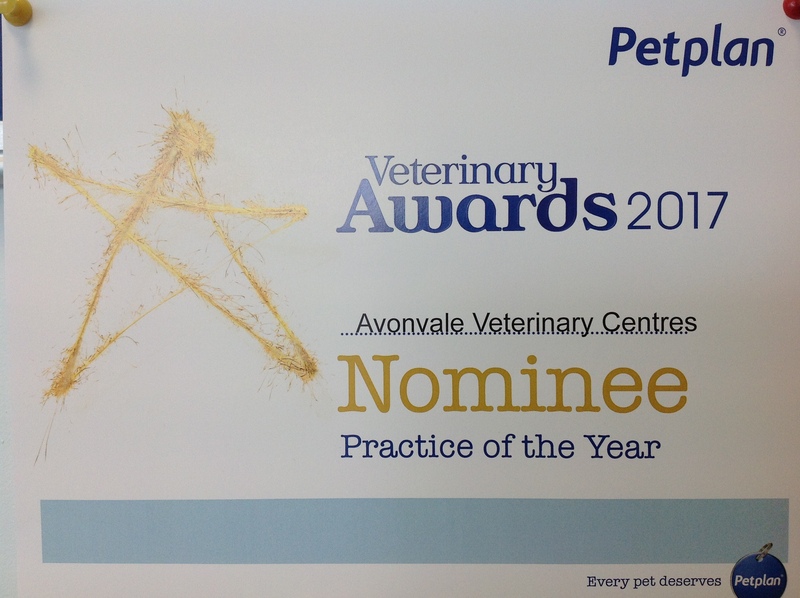 We would like to say a big thank you to everyone who nominated us. This is gorgeous Teddy who gave blood at Southam last week to donate to help save the life of a very poorly anaemic kitten. We sometimes see animals who require a blood transfusion to replace lost blood cells or volume, and usually these are emergency cases who require blood as soon as possible. Finding a donor cat can be difficult. Unlike for humans and dogs there is no blood bank for cats as their blood is more difficult to store. This means we have to rely on generous owners of superstar donor cats to provide much needed blood in an emergency. Not all cats are suitable to be donors- there are certain criteria to ensure that the transfusion is safe for both the donor and recipient. Cats must be in good health, be between 1-8 years old and weight 4kg or more. Cats usually need to be given a light sedation to take the large blood sample needed, so they must be healthy. 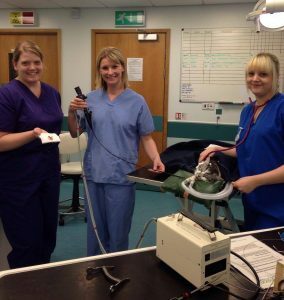 Before we perform a blood transfusion we must also ensure the cats share the same blood type. 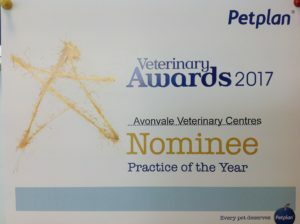 Please give us a call to chat to one of our vets if you are interested in your cat becoming a life saving blood donor. Did you know, guinea pigs have teeth that grow constantly throughout their lives? Because they are always growing, if they start to erupt at an angle or are not being worn down properly they can start to cause problems. This happened to Ronnie, who came into our Southam surgery to see Penny after he stopped eating his fresh food. Penny examined his mouth and found his back teeth had overgrown across his mouth and were causing discomfort. Penny trimmed Ronnie’s teeth under anaesthetic and he is now eating completely normally. We will monitor his teeth closely as he may need his teeth trimming again in the future. 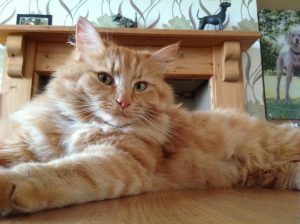 Merlin the cat was seen by Andrea at our Southam surgery because he had been coughing and retching at home. These signs are often caused by an infection, but can also be due to a foreign body. So when Merlin’s coughing didn’t stop, Andrea became worried he might have something stuck in his throat. Merlin was given an anaesthetic which allowed Andrea to have a look down his throat with the endoscope. She soon found the cause of Merlin’s problems- a large grass awn behind his soft palate which had been causing a lot of irritation. The grass awn was expertly retrieved with the help of vet nurses Michelle and Kim. Merlin went home later the same day and is now feeling much better. Grass seeds are a big problem at this time of year. They can get lodged in eyes, ears, paws and throats. It is important to check your dog after walks and remove any grass seeds lodged in the fur before they cause a problem. This is poorly pooch is Peggy. 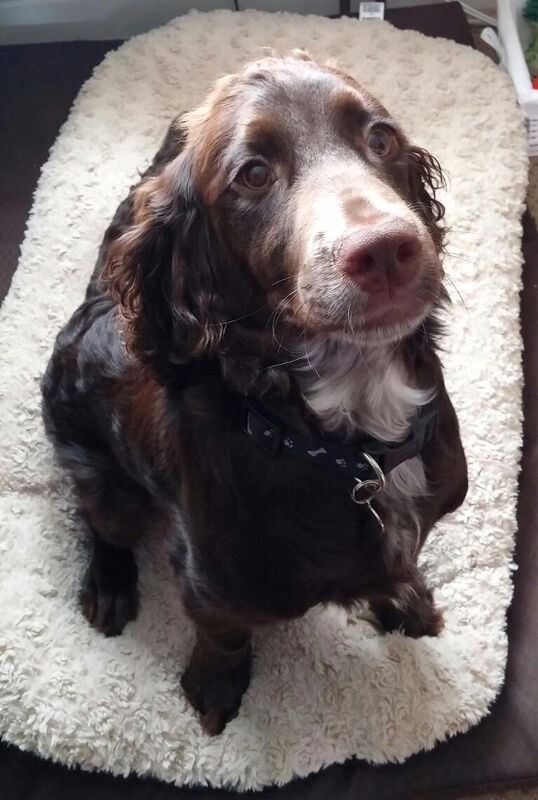 Peggy’s owner rang us because she had managed to snuffle her way into a variety box of chocolates and had eaten most of the box! Chocolate is irresistible to dogs but the Theobromine it contains can be lethal. We have enzymes in our liver to metabolise it but dogs cannot break it down and it becomes toxic forming a poison which can be fatal. 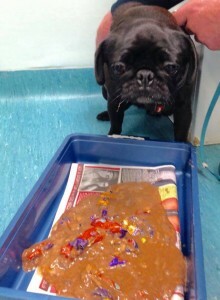 Peggy had eaten well over the toxic dose so Southam vet Penny had to act quickly to prevent her becoming very unwell. She looks very sorry for herself in the photo as Penny had to give her an injection to make her sick to stop the toxin being absorbed from her stomach. Happily, once the injection wore off Peggy was back to her normal self, and because her owner acted so promptly the chocolate won’t have caused any lasting damage. We tend to see lots of dogs for chocolate toxicity at this time of year so be careful not to leave any under tree as dogs can sniff it out. Please also remember that raisins are toxic too, so be careful with mince pies and christmas pud too. If you think your dog has eaten a quantity of chocolate or raisins call us immediately and our vet will advise you what to do next. Your dog may need to come in for urgent treatment to get rid of the toxin. This is Herbie who belongs to Southam receptionist Liz. Liz became worried about Herbie when he didn’t eat his breakfast and didn’t want to go for a walk because that was very out of character for him. Then, when he squealed when he was picked up, Liz knew that something was definitely not right. She was worried that he might have eaten a stone while out on a walk. Liz took him into our Warwick hospital to see the on call vet Steve. He found that Herbie’s pain was in his neck so his problem wasn’t caused by eating a stone. Steve was worried Herbie either had pain from trauma, an infection in the bones in his neck or a condition called meningitis which is caused by inflammation or infection of the tissue surrounding the brain and spinal cord. Herbie came in for further tests the next day with Southam vet Mark. Mark took X-rays of Herbie’s spine as well as taking a sample of the fluid surrounding he spinal cord to look for signs of meningitis. dehydrated. So he went on a fluid drip. We decided to send him to Warwick for overnight care. The results came through that evening to say it was Steroid Responsive Meningitis. We got him on a course of steroids and some antibiotics. By Tuesday he was almost completely back to his old self!! Herbie has a long road ahead on steroids, and have to have all our fingers and toes crossed he doesn’t have a relapse! 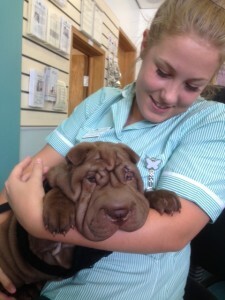 Cocoa the 2 month old shar pei puppy came in to see Southam vet Mark recently. He had a runny eye which Mark could tell was caused by the skin of his eyelid rubbing on the surface of his eye. This is a condition called entropion. To prevent serious damage to the surface of Cocoa’s eye, Mark operated to place some stitches above each eye to pull the skin back and stop the constant rubbing. 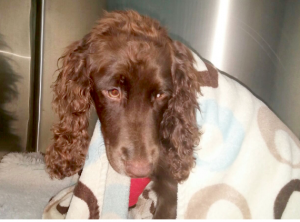 Cocoa recovered really well and was soon enjoying lots of cuddles after his anaesthetic. We will have to wait to see if he grows in to his skin or if he will need further treatment in the future but for now he is no longer in pain and is enjoying life as a happy, bouncy puppy. Buzz is a 12 week old Border Collie puppy with lots of energy who loves racing around with his sister Tink. Unfortunately, while his owners Jimmy and Eva were bouncing on the trampoline in their garden the two puppies chased each other underneath and Buzz caught his leg on the supports. His left foreleg was broken in 3 places. Vet Mark Taylor at Southam x-rayed the leg and found that the ulna and radius were both fractured and there was also a triangular ‘butterfly’ fragment of displaced bone. The orthopaedic operation was more delicate than usual as Buzz’s bones are still growing and so are smaller and softer than in an adult dog. 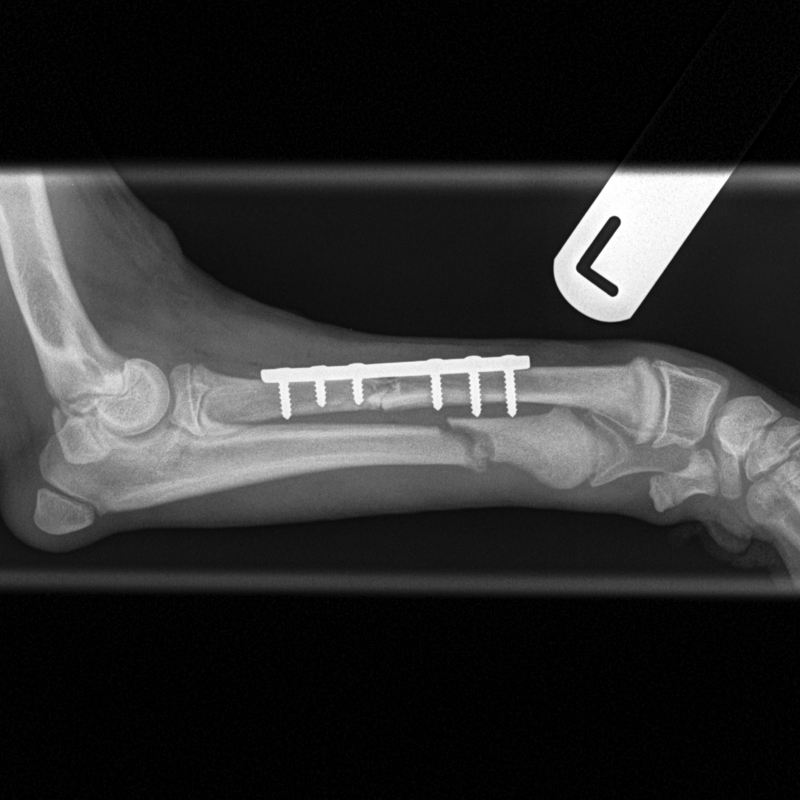 Mark repaired his leg with a compression plate and screws of a size more often used for a large cat. With rest and careful exercise Buzz is likely to make a complete recovery. As you can see from today’s photo above Buzz is recovering well from his operation. Jimmy and Eva are ensuring that he rests well to let his leg heal properly which is a difficult task because like most puppies all he wants to do is play.